Modulation: Don’t Believe What You’ve Been Told! Modulation by common chord. This is always taught first, which reveals a bias toward classical practice. It gets lots of ink in the textbook because it is something that can be broken down into steps and explained ad nauseum. The technique is to find the first harmony that works for the new key (usually its dominant) and back up to find the pivot harmony that works equally well in both keys. Students hate this… they never can remember that a common chord is common to both tonalities. But who can blame them? To a listener, the modulation begins with a chromatic shift. Modulation by altered common chords. This seems to be a very common method, but gets short-shrift in K & P (one example and hardly any text). I like to find these examples at the end of sonata expositions, where a dominant-key tonic chord gains a seventh in order to act as V7 of the repeated first theme. Here’s a great example from the last movement of Mozart’s “Dissonance” Quartet, K.465. K & P’s explanation surrounds the chord pattern D7 – G – a – A7 – D. They write that “A7 is itself the common chord,” even though it’s not really “common” to both keys. I think it’s weak to lump this in with common-chord modulations, even though the root stays the same between both chords.”The thing” is usually not that the root stays the same, but that a line within the counterpoint (or implied counterpoint, in less strict music) has a chromatic shift, usually upward by half-step, that sets the modulation in motion. Another major technique is direct modulation, which is defined by many to be the sort of modulation that occurs when one phrase ends in its own key and the next begins in a new key. K & P include this in the “Some Other Modulatory Techniques” chapter even though it is by far the most commonly used technique for key change in all of music. Since it doesn’t just work between phrases but within them as well, it is basically indistinguishable from tonicization except by degree. For instance, in the beautiful “middle-eight” of Ray Noble’s song Cherokee or in Billy Joel’s Allentown. Turnarounds are commonly discussed in jazz theory but not in classical, which is a shame because the same concept applies frequently. 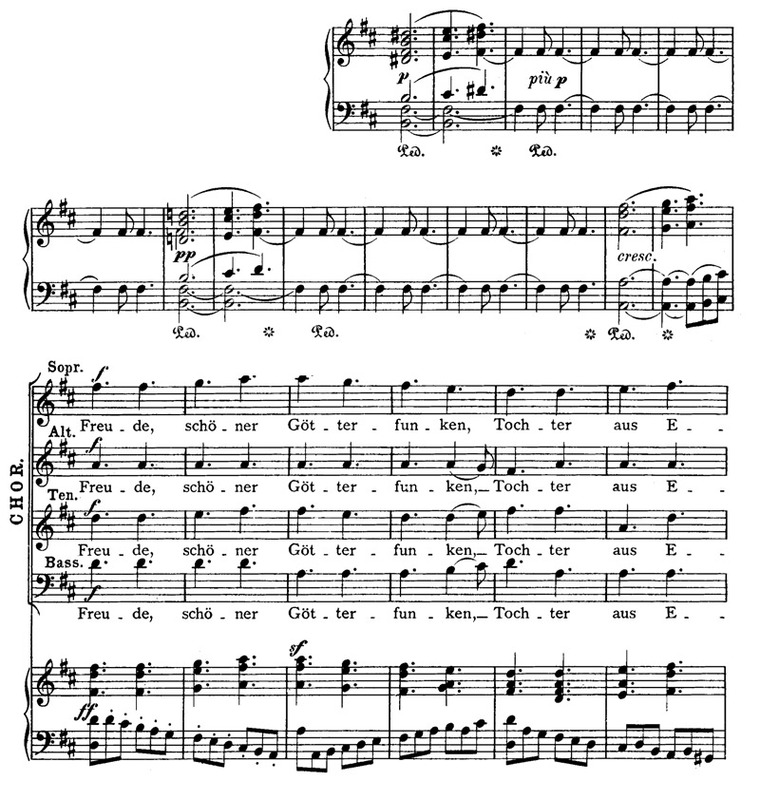 Compare these examples from Carmichael’s Georgia On My Mind and Schubert’s Auf dem Fluße. Turnarounds “soften” direct modulations by providing “anacrusis-level” dominant (and sometimes pre-dominant) harmonies that lead to the harmony (probably new-tonic) that starts the next phrase. Modulation by sequence can almost always be explained as a pivot-chord modulation, especially when the root motion moves by fifths. A good example of this is in Elgar’s Moth’s and Butterflies. What are your favorite examples for teaching modulation? 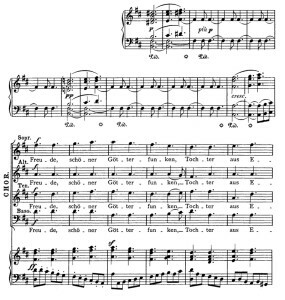 Do you have good examples of common-chord modulations in non-classical music? Common-tone modulations in any music at all? Please post some suggestions in the comments section!